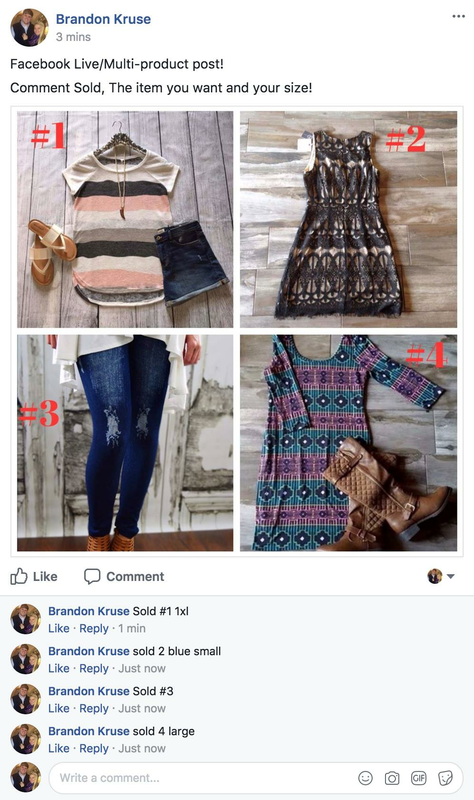 Multi-Product How-To | CommentSold Help Center! Your guide to using Commentsold for Facebook Live sales! Step 1 - Post multi-product post! 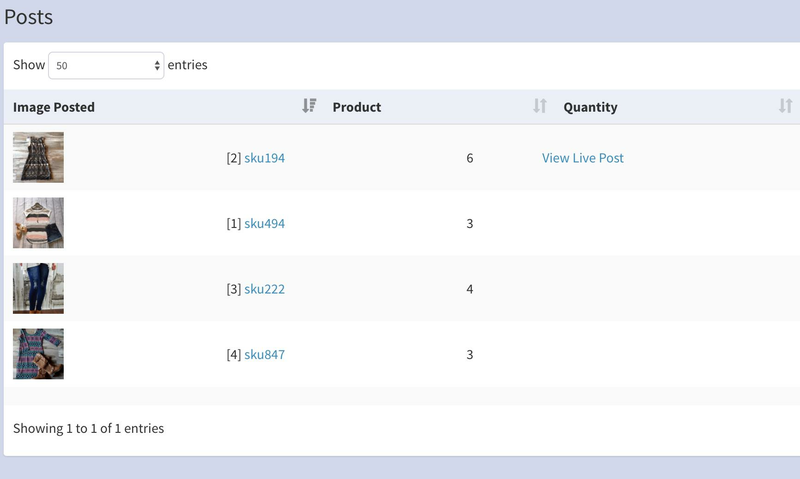 Next, you can go into your products tab, and search for the products you'd like to include in your multi-product post. 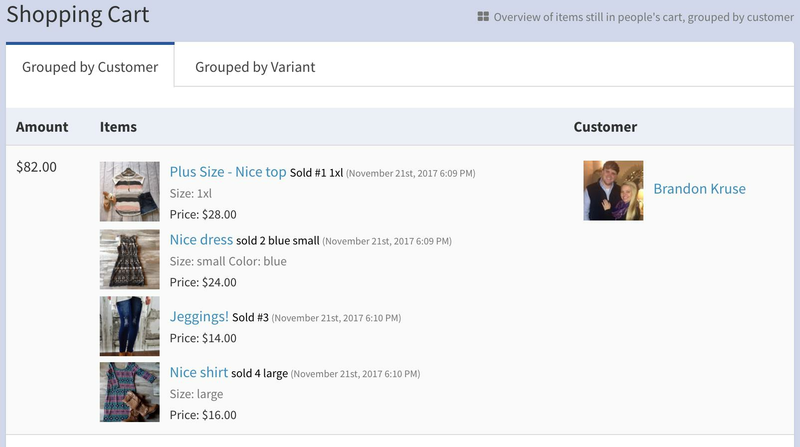 Next to any product included, click the 3 dots, and select "Link to Live Post"
We will then show you your most recent posts. Select "Link" next to your video/post. It should be your most recent one at the top. You'll want to select all products included in the live sale. 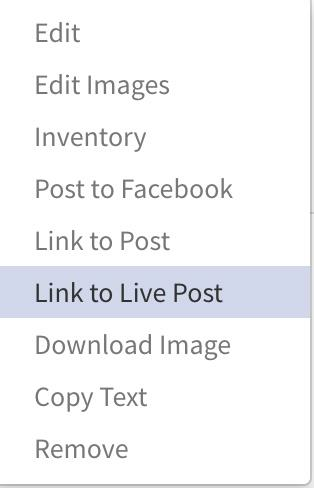 Next to each product you want to include, press "select" to include it in your live post. 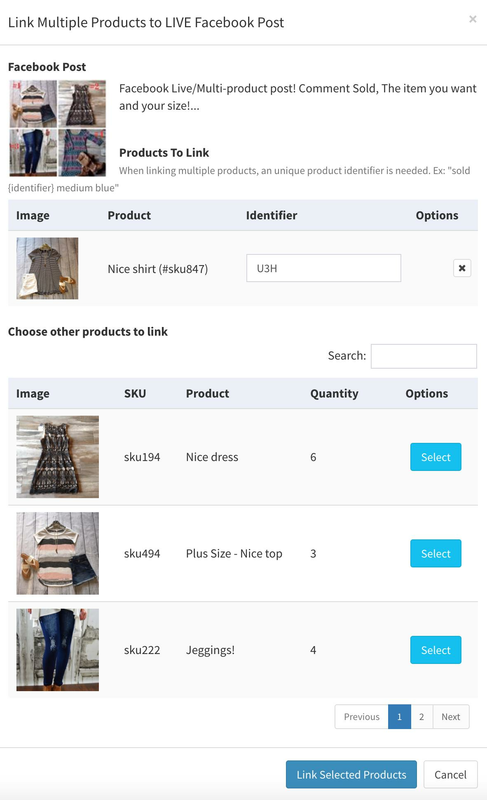 Including products in your live sales, allows us to pull the current existing inventory to sell. Once all products have been selected, you can begin assigning them their identifiers! Lastly, you will choose to "Link Selected Products". You can now track this post in your Posts Manager tab! Check it out! Invoices are being issued and all you need to do is watch the orders roll in as they're paid! Woop! 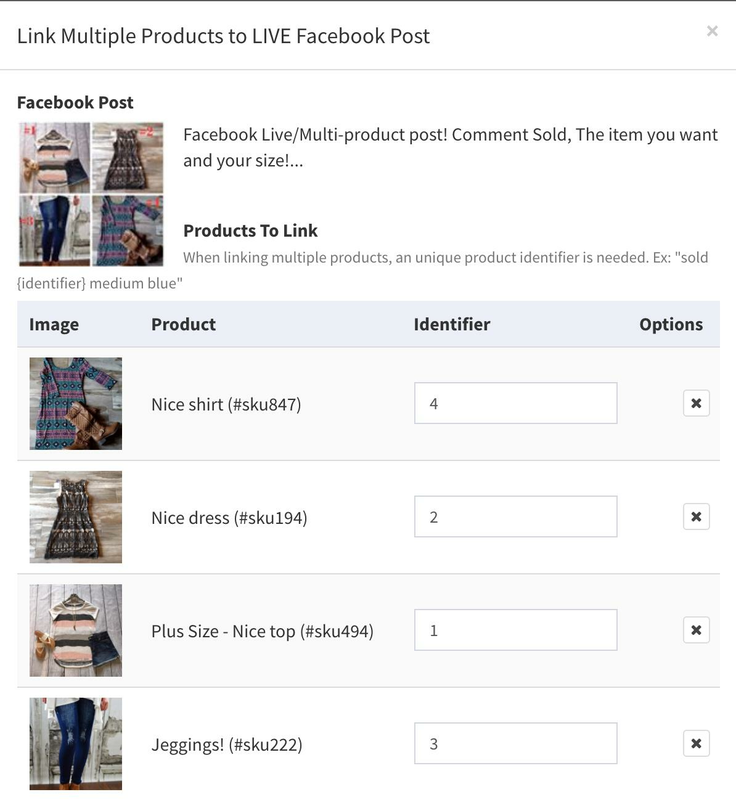 Now when a Facebook live product is in your customers cart, you can truly see what product it is. No more guessing games of, "What was product #3?" See? How awesome! !